When high net worth couples divorce, there are many difficult issues that are not part of a typical divorce. High-asset divorce often involves complex tax issues, as well as the division of sophisticated financial holdings and property. It requires the knowledge and financial savvy of an experienced Winter Park high net worth divorce attorney. Cotter & Zelman, P.A., is an established law firm that provides trusted advice and intelligent representation to high net worth individuals and their spouses involved in divorce. We represent both men and women involved in these cases and handle each matter with the utmost professionalism and respect for your privacy. When confronted with the prospect of divorce, some people will go to great lengths to avoid the accurate valuation and division of the marital estate. These individuals may use offshore accounts, shell corporations and tax shelters to hide assets and intentionally downplay their true net worth. When appropriate and financially wise, the lawyers of Cotter & Zelman, P.A., enlist the assistance of industry experts to help our clients secure a fair division of marital property. We often work with tax professionals, business valuation experts and forensic accounts to perform reliable business valuations, track down hidden assets and assign accurate values to all sources of income. These sources of income may include bank accounts, business ventures, investment instruments, real estate, stock portfolios, and pension and retirement accounts. Rest assured, we will conduct a meticulous investigation and employ intelligent, proven strategies to build a strong case on your behalf. For professional assistance with even the most complex high-asset divorce matters, call Cotter & Zelman, P.A., at 407-629-4711 or contact us by email. 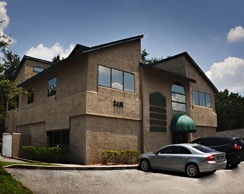 With more than 65 years of combined experience, we represent clients throughout central Florida.